Three streetcars pass by the Hattori Building (just out of view on the left) in Tokyo’s fashionable Ginza. Carts are parked under the verdant willow trees. The Hattori Building was one of Ginza’s main landmarks. 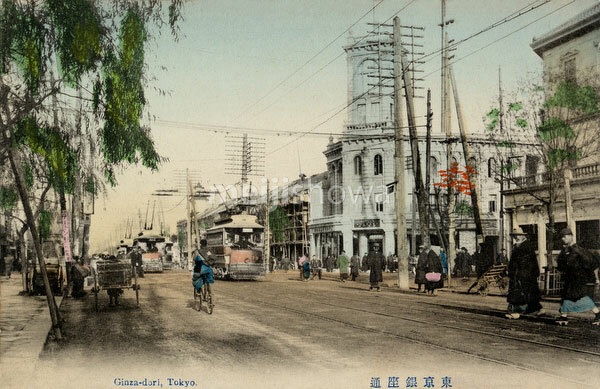 It was the home of K. Hattori & Co., a watch and jewellery shop opened in 1881 (Meiji 14) by Kintaro Hattori (1860-1934).